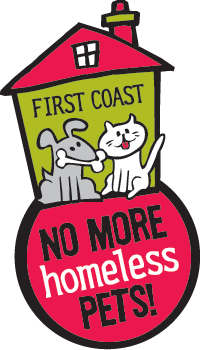 With so many ways to support First Coast No More Homeless Pets, making a positive impact on the lives of cats, dogs, and their human families has never been easier. Whether you wish to make a large gift to support the expansion of our programs and facilities or donate pet food and supplies to keep our existing programs moving forward, we are happy to help you learn more about the countless ways you can give back to our furry community. Matching Gifts – Contact your company’s Human Resources Department to determine if your employer matches gifts to FCNMHP. This is an easy and effective way to double or even triple your contribution to us! Workplace Gifts – We participate in the Combined Federal Campaign (#69568). Check with your Human Resources Department to see if FCNMHP is a designated charity in your workplace contribution campaign.